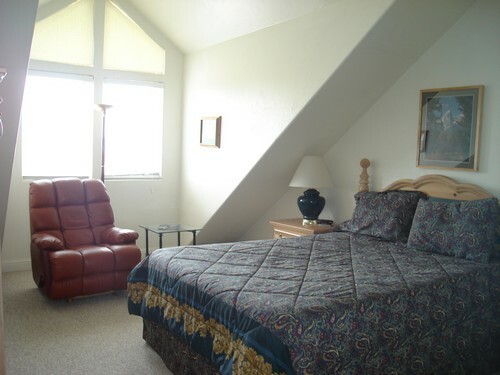 1850 sq ft 3-story condo with 3 bedrooms and loft that sleeps 8. Just off Ski Hill Road on the way to Targhee! Combine neighboring Shadow Brook 2 to sleep 14. 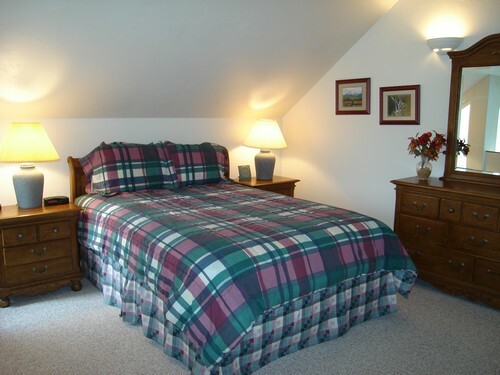 One queen bed in master bedroom on second level, two twins in 2nd bedroom on second level, one futon and queen bed in 3rd bedroom on third level. 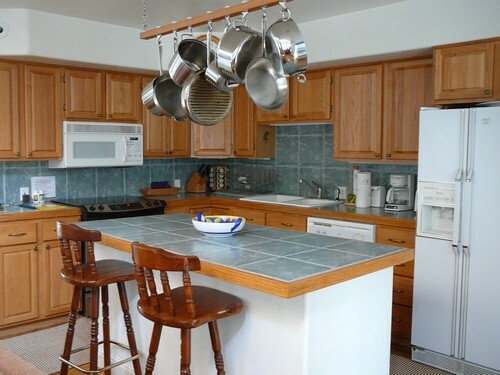 Fully equipped kitchen with microwave, dishwasher and top of the line cooking utensils. Living room has propane flame fireplace and extensive VCR tape library. 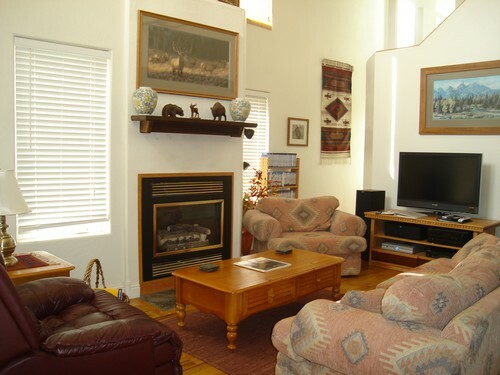 Wireless Internet access, HDTV with Satellite, network channels, DVD, stereo with tape and CD player. Located off Ski Hill Rd. 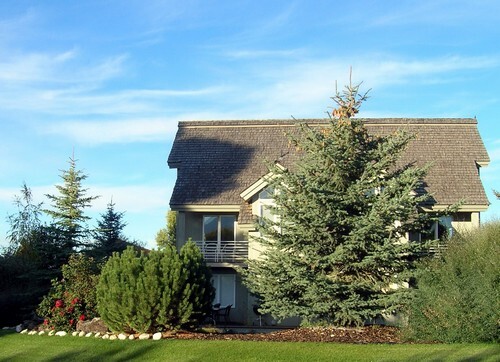 less than 10 miles from ski resort, numerous trailheads, and downtown Driggs. Unit equipped with air conditioning. Laundry facilities and 1-car garage.